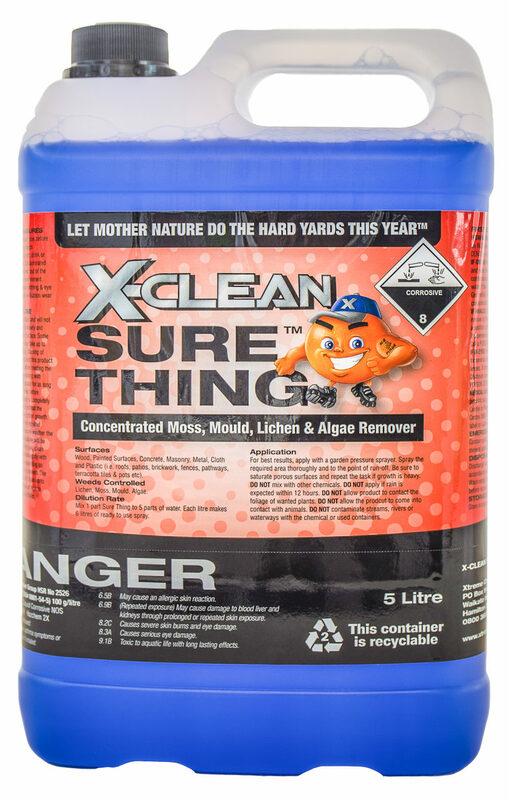 X-Clean’s Sure Thing, the moss, mold, algae, and lichen killer designed for New Zealand conditions. Just spray and leave for spectacular results. 5 Litre’s of Sure Thing will cover between 150 – 250 m^2 of area. This size is idea for spraying a roof, or doing your driveway and paths (if you want to do both, buy 2 containers or purchase 20 Litres). 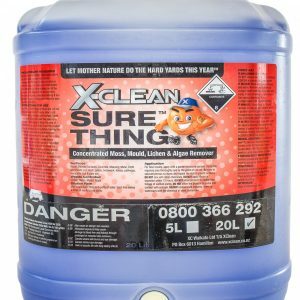 If you are unsure of how much Sure Thing you will need give us a call on 0800 366 292.